How to Pick a Personal Injury Lawyer | Hupy and Abraham, S.C.
How should I choose a personal injury lawyer? 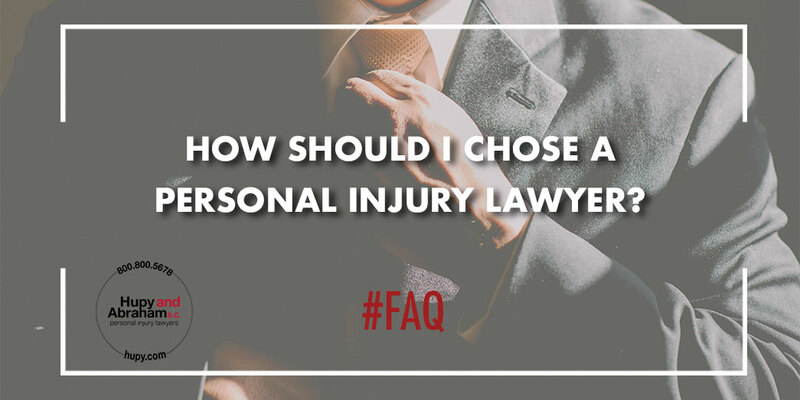 You have choices when it comes to hiring a personal injury lawyer to represent you after an accident. It can be overwhelming. However, despite what other websites say, there is no secret to finding the right personal injury lawyer. Experience. You want to hire an attorney who has experience trying cases and negotiating settlements for accidents similar to the one that hurt you. For example, if you were hurt in a motorcycle crash, then you will want to hire someone with experience representing people who have been hurt in motorcycle accidents. Client satisfaction. Client testimonials are important because they can provide you with detailed information about what clients liked about their lawyer and law firm. Additionally, it is important to take your gut feeling into account and to hire an attorney you trust. Is Hupy and Abraham the Right Firm for You? You can browse our website to find out more about our experience, our case results, and what our clients think about us. We are proud of all of this information and we hope that you find it useful in your search for an attorney. However, we encourage you not to make a final determination about whether Hupy and Abraham is right for you before you call us. Come in for a free meeting with one of our lawyers to get all of your questions answered, to learn how a personal injury lawsuit works, and to see if we are a good fit for you. Whenever you are ready, you can schedule a meeting by calling us or by contacting us through this website. We look forward to meeting you.